Since Yosemite, we have toured around a bit, picking off some easier runs. We had planned a quick trip on the Lower Tuolome, but shuttle difficulties meant it was better to hold on until we had more people and vehicles. 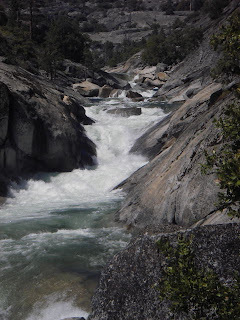 Instead, we headed north, and ran the Chili Bar, and gorge sections of the South Fork of the American, which were ok, but the one car shuttle meant too much running and biking up large hills. Don't Californians like hitchers??? 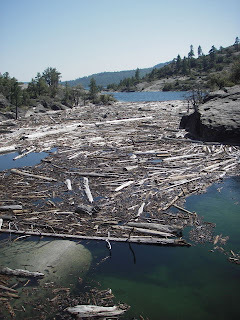 We then Stayed in Tahoe South - Casino anyone? 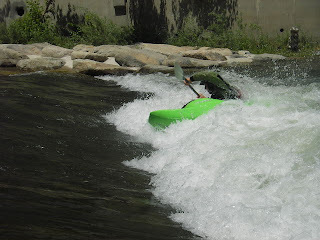 ?, then cut into Nevada for the Reno Whitewater Park. We timed out visit to perfection, the Reno Riverfest had finished the previous day, so we had the place almost to ourselves. 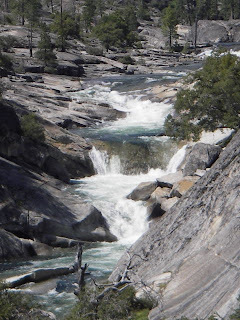 The next day saw us paddling the North Fork of the American - Chamberlains falls section. 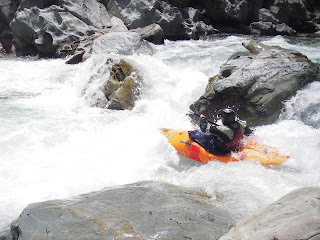 A quality piece of class 3/4 whitewater, but a gruelling bike shuttle out of the gorge. 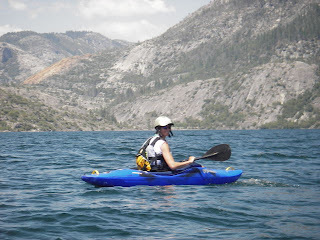 There were other paddlers around, but unfortunately, they decided not to shuttle until I'd made it up the hill. Whilst camping at the pu in, we met a group just taking off, who had paddled the Royal gorge, Generation Gap and Giant Gap (3 day trip). The last day was 9 miles of the royal gorge, plus the two lower sections. Reports were great level, and very stout section. What sort is it anyway, made me shiver when I looked?! 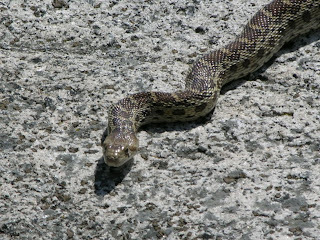 Damon reports that its a Gopher snake, aka a bull Snake.